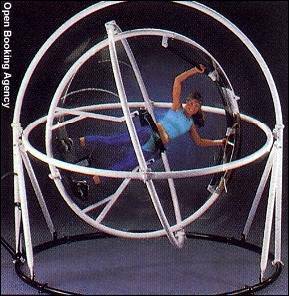 Strap yourself inside this giant gyroscope and defy the forces of gravity without dizzyness. Invented by NASA. Your body movements control speed and direction to your liking.